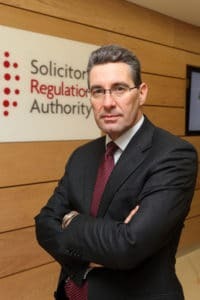 The chief executive and chair of the Solicitors Regulation Authority (SRA) have hit back over criticism of their plans for a comprehensive rewrite of the handbook. Among the changes would be a move to allow solicitors to practise from unregulated firms for the first time, which the Law Society argued earlier this week would pave the way for a two-tier profession and leave consumers unprotected. Paul Philip, chief executive of the SRA, said at a press briefing after yesterday’s board meeting that some solicitors would welcome the freedoms the rewrite would bring. “Others believe the system is not broken and does not need to be fixed. The main problem in the market is that the vast majority of people cannot afford to use solicitors. What are the drivers of that cost? Regulation and indemnity insurance. 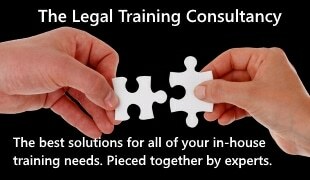 “We believe that by allowing solicitors to work outside an authorised entity, it will make a contribution to improving access to legal services and enforcement of civil rights. Mr Philip said that nowhere in last week’s report by the Competition and Markets Authority (CMA) was there any evidence of detriment to consumers by using the unregulated sector. He denied that the SRA was diluting the solicitor brand by changing regulatory arrangements to open up the market and improve competition. Mr Philip described the handbook rewrite as “radical” and said the Law Society’s views would be considered, along with the others. He added that he did not believe allowing solicitors to practise in unregulated firms was “such a big leap”. He said the question was whether the change helped members of the public to access advice from a properly trained solicitor with high standards rather than an unregulated adviser who was not even a professional. Enid Rowlands, chair of the SRA, said the regulator did not share the view that nothing was broken; the CMA reports had highlighted areas where services were not being delivered. Both Mr Philip and Ms Rowlands cited the CMA report’s backing for the legal regulators to be fully separated from their representative bodies. Mr Philip said that, given the referendum, it was natural that the government’s attention was “elsewhere”, but it had launched a consultation on reforming the rules for alternative business structures last week and separation was the “second half” of the Treasury ‘better deal for consumers’ proposals. Earlier the SRA board approved a reduction in this year’s practising certificate fee for solicitors from £320 to £290. The SRA set compensation fund contributions at £32 for individuals and £548 for firms. However, the PC fee depends on a decision by the Law Society council today on the net funding requirement for the Law Society group. It will then need the approval of the Legal Services Board.